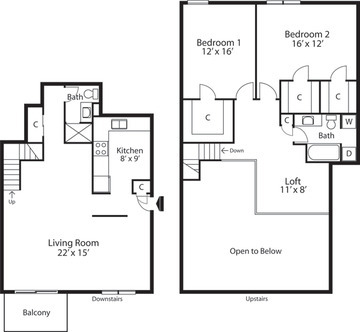 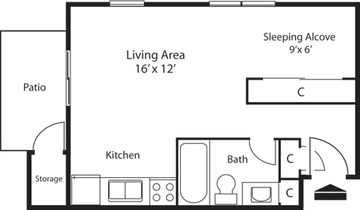 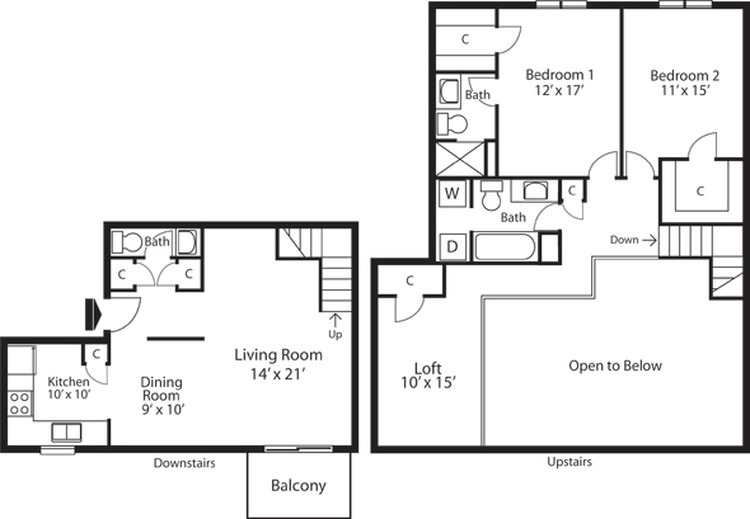 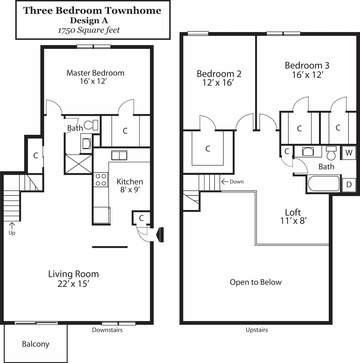 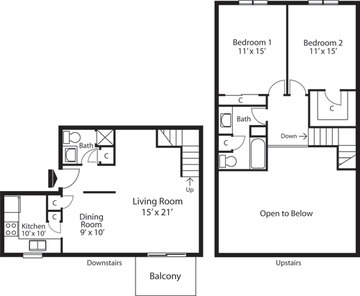 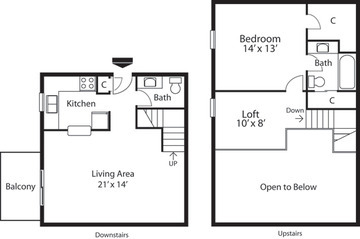 Our 2 bedroom 2 1/2 bath town home is our &ldquo;WOW&rdquo; apartment. 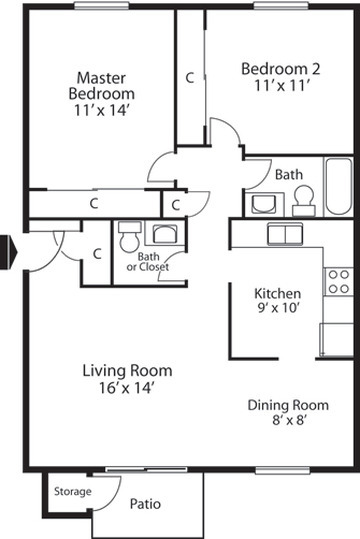 It speaks for itself in space and character. 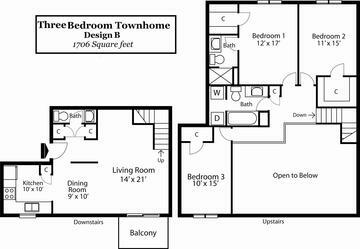 The 2 Bedroom Townhome Design also features a loft area that is the size of a bedroom that would be perfect for an office or lounge area.